Sold at Auction for $400M plus $50M in fees. 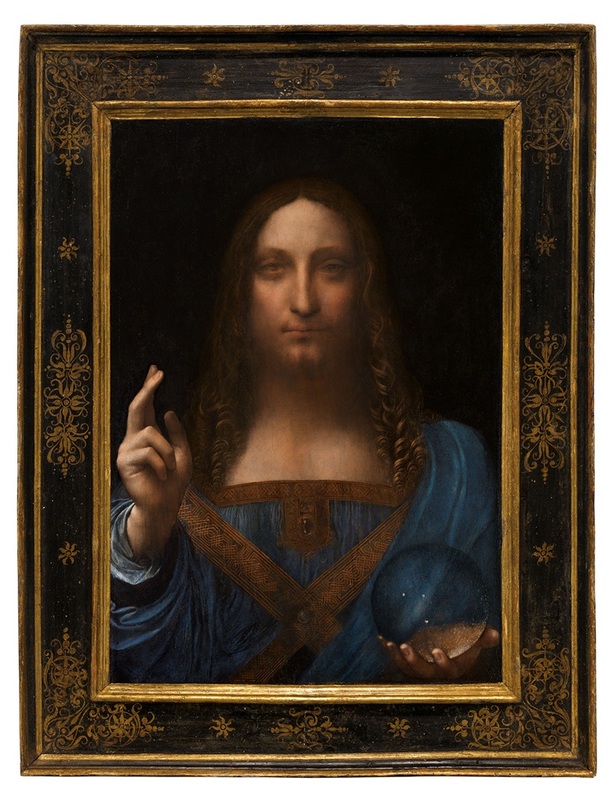 Last week saw Leonardo Da Vinci’s Salvator Mundi fetch a record-breaking $450.3 million ($400 million plus auction fees) at Christie’s. The latest theory is “...this is not another billionaire seized with an irrational exuberance who has made a nine-figure check, but two investment funds acting in concert and in connection with several major museums.” This line of thinking implies the purchase of the Salvator Mundi was a rational investment with an expected return. My first thought? 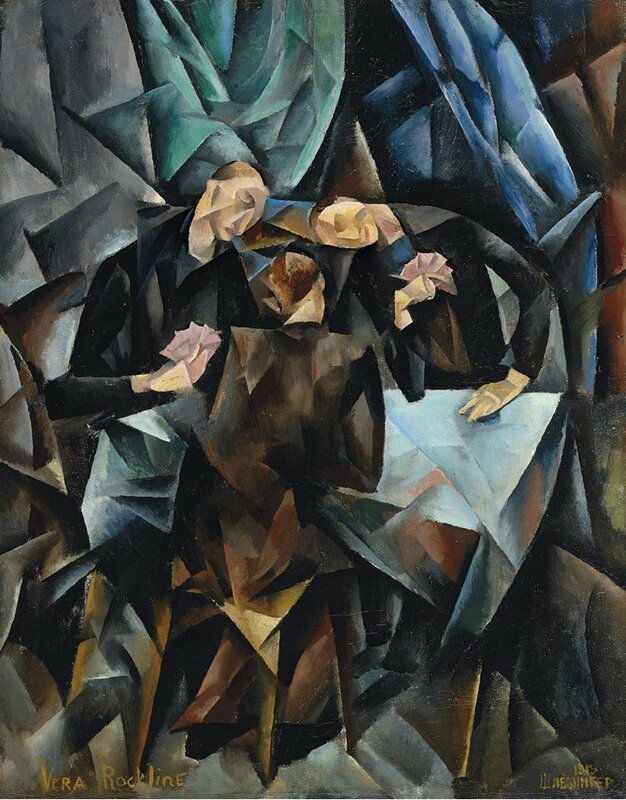 How many top works by the world’s most important female artists could you have purchased with $450 million? What if investors, museums, and collectors went in together on investing in works by women instead of a single Leonardo Da Vinci painting that few would argue is even his best work? To state the obvious, auction values are a reflection of the bias of the collectors, not a reflection of the talent of the artists. 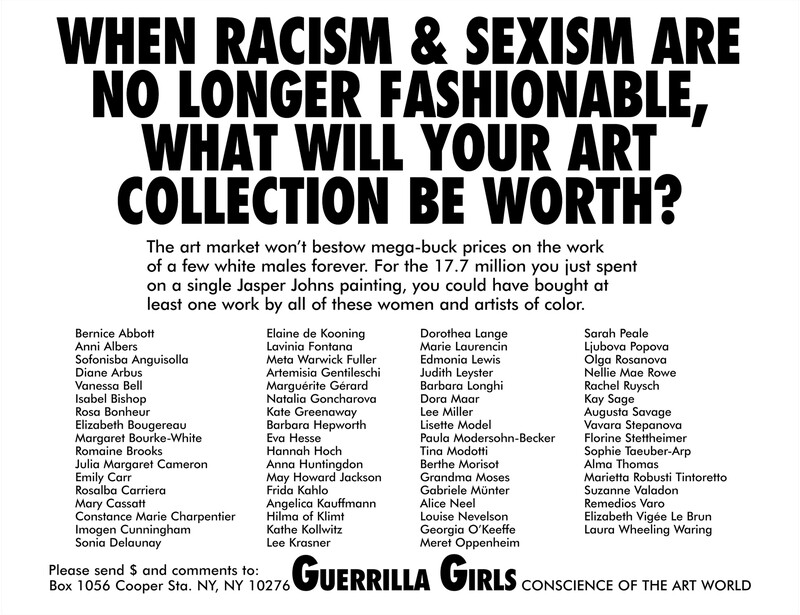 That said, the work of female artists is woefully undervalued at auction. This is not a unique insight on my part. I wanted to find out how many of the top works by preeminent female artists you could buy for the same $450M spent on Salvator Mundi so I created a list. At 300 artists, the total is just $369M, still $81M shy of $450M. Can you imagine a museum with the most important work by 300+ of our most significant artists? I’d get in line for that - you can keep the Salvator Mundi. I’m sure I have left out many obvious and deserving women that should be on the list. Since we have another $81M before we hit the $450M spent on Salvator Mundi, tweet me @artnome if you have an artist I should add and we'll see how far we can grow the list. I regularly have collectors/investors reaching out about data-driven analysis of the auction market. If like me you are optimistic about society moving towards gender equality, I can’t think of a better investment strategy than investing in female artists, past and present, regardless of motivations (love of art, return on investment, cultural status). Below are some of my favorites artworks from artists on the list. In addition to the artists below, I'd recommend checking out: Marthe Donas, Fern Isabel Coppedge, Sigried Hjerten, Maria Marevna, and Francoise Gilot. The Atheneum's page on "artworks by female artists" is also a great place to discover new artists and was very helpful in compiling our list of 300. Last but not least, a huge thanks to Artnome's new Digital Collections Analyst Kaesha Freyaldenhoven for all her help in researching this article.